The Local Market, a plant-based pop up & online marketplace located throughout Atlanta, GA, has worked with Larry's Coffee since the very beginning of their business venture starting in 2017. Their mission is to promote a more sustainable future by carrying plant based & eco-friendly products made by local entrepreneurs. So it was no surprise that Larry's Coffee would be an addition to their store. The Local Market has decided to create a blend with Larry's Coffe that gives back to the environment even more. By doing so, they have partnered with the Arbor Day Foundation, a 501(c)3 nonprofit conservation and education organization, to further their passion for the well being of our planet. When purchasing, 5% of sales will be donated to the Arbor Day foundation to raise awareness and to make our world greener by planting one tree for every bag sold. They clean air and water, slow climate change, ease poverty and hunger, prevent species loss, and feed the human soul. All we need to do is plant and care for them. Let's work together to make it happen! 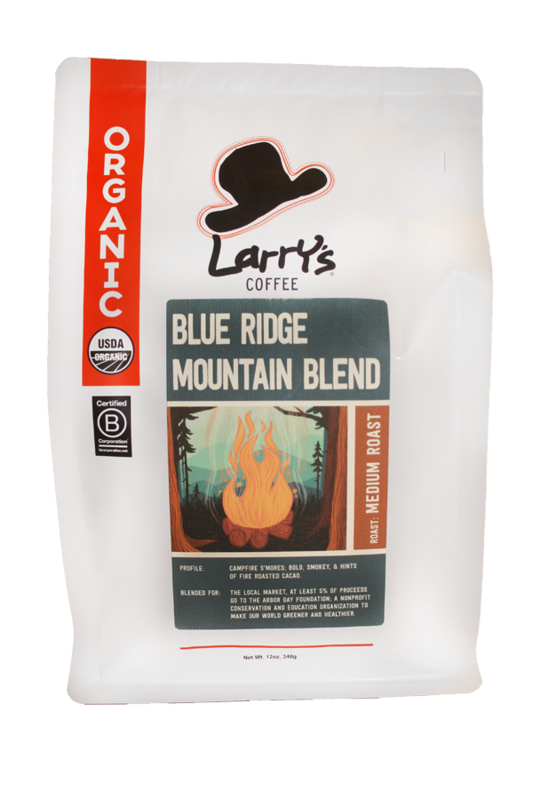 The Blue Ridge Mountains represent some of North Georgia's mos beautiful trees and where Dakota, the owner of The Local Market, loves to camp and drink Larry's Coffee especially. Whether you're up in the mountains or down in the city, you'll enjoy the taste of this blend and feel good about giving back to the environment. Bold, Smoky, hints of campfire s'mores and fire roasted cacao. 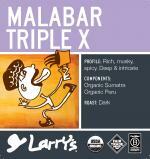 Larry's spicy reincarnated concoction of everything he loved about Monsooned Indian Peaberry. Complex and rich, this blend offers hints of toasted peanut with a very mellow acidity.